Designed for maximum adjustability on any Small Block Chevy Vortec style manifold. Edelbrock Carburetor Linkage Adapters, Studs & Cable Extensions for all of your carburetor connection needs. 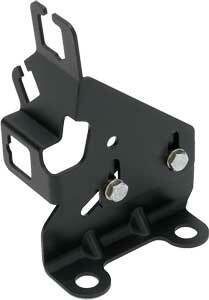 8032 - Edelbrock Carb Linkage Adapters, Studs & Cable Extensions is rated 3.0 out of 5 by 2. Rated 5 out of 5 by Cooter from Quality parts I have bought this item before from you, but this time, I wanted to see if it would work on a vortec V6. Perfect..... I will be buying more at a later date. Thanks Jeg's. Thanks Edelbrock. Rated 1 out of 5 by 54 Chevy truck from Didn’t work for my application Bracket didn’t line up with the carburetor! Edelbrock manifold Edelbrock carb. and edelbrock throttle bracket and they don’t line up!